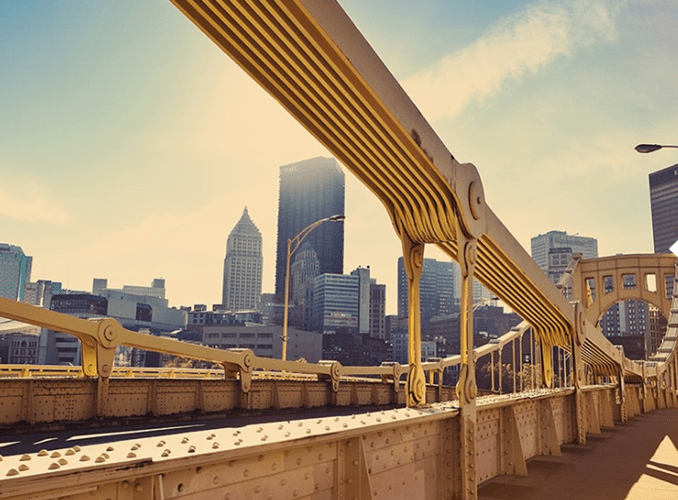 Pittsburgh may be famous for its rich manufacturing history, but the “Steel City” has also attracted its share of high tech companies, with approximately 1,600 technology firms that have facilities there, including Google, Apple, Inc., and Microsoft. 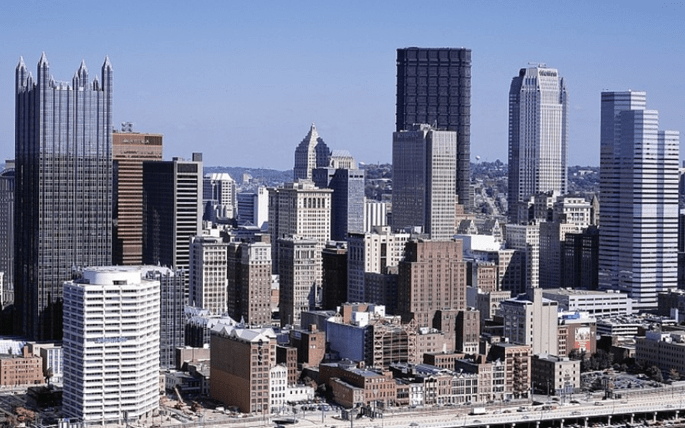 There was also a time when this city had the most U.S. stockholders per capita, which is one of the reasons there are so many top financial advisors in Pittsburgh, PA to choose from. 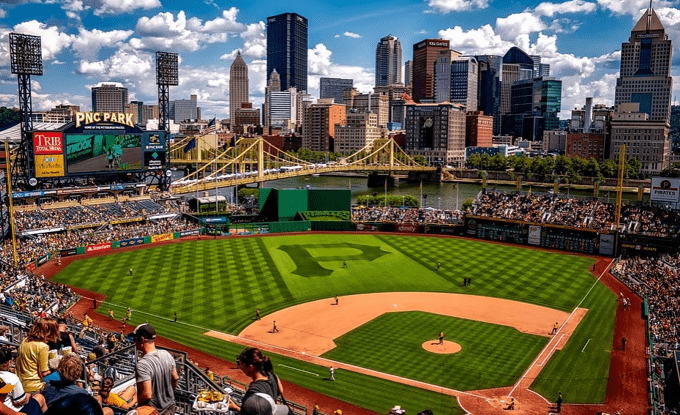 With multiple options in Pittsburgh for wealth management firms, how do you know which ones will have your back during the ups and downs of the stock market and help you reach those future retirement goals? Searching through tons of firms and trying to compare them yourself can be a confusing and time-consuming task. 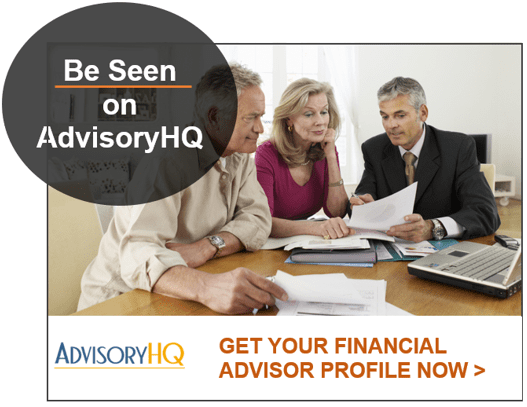 That’s why AdvisoryHQ does the hard work for you. We’ve taken a look at multiple financial planners in Pittsburgh to choose the 11 firms that represent the cream of the crop. In this article, we’ll highlight why each firm is considered one of the best financial advisors that Pittsburgh, PA has to offer, what type of clientele they work with, and what makes them stand out. If you’ve been searching for a perfect wealth management partner in Pittsburgh to handle your finances, you should have a pretty good list of candidates by the time you finish reviewing these top 11 firms. How Can I Find My Perfect Pittsburgh Financial Planner? How can you narrow down your search for a top wealth management firm in Pittsburgh, Pennsylvania? We’ve got a few tips below that will help you zero in on the one that is best for your financial situation. First, you’ll want to look inward and make a short list of some of the key financial details and priorities you have. This will then give you a roadmap to use when looking over the specialties of different Pittsburgh financial advisors. Next, think about your personality and what type of firm would fit you best. For example, do you feel better with a button-up, by the book type of firm? Or do you want one that feels like family and hugs you when you come in the door? You can get a good feel for a firm’s personality from their website and how they present themselves. Fee-Based: This means they can accept outside commissions, which can cause a conflict of interest unless they’re also a fiduciary and take on a legal commitment to be completely transparent and put the client’s best interests ahead of their own. Fee-Only: This means a firm does not accept any outside commissions for selling financial products and is considered the highest standard for unbiased, conflict-free financial advice. Below, please find the detailed review of each firm on our list of 2019 best financial advisors in Pittsburgh, PA. We have highlighted some of the factors that allowed these Pittsburgh wealth management firms to score so highly in our selection ranking. Founded in the bicentennial year 1976, Allegheny Financial Group is a privately owned, fee-based, SEC-registered financial advisor headquartered in Pittsburgh, Pennsylvania. This wealth management firm in Pittsburgh earns client trust through their tailored client experience, specialized knowledge, and first-rate market research. They provide investment management guidance to households, businesses, and non-profits. The financial planning process is made much easier when a financial advisor uses a client-centered approach and has steps that are easy to follow. This helps clients end up with a completely personalized plan that addresses their current needs and goals for the future. Evaluate: Your team of Pittsburgh financial advisors identify internal and external factors that impact your finances and determine things like risk tolerance and specific needs, such as education funding or retirement planning. Develop Your Plan: Once your objectives are set, you and your advisor work together on plan strategies to help you reach them. Implementation: Your plan is put into action and these Pittsburgh financial advisors use their expertise and know how to keep it on course. Measure & Evaluate Your Plan’s Progress: Diligent monitoring of your plan and any life changes ensure any new priorities are accounted for. Whether you are looking to grow your assets or minimize taxes, a portfolio should reflect your distinct financial situation. Personalized financial planning advice is something that sets Allegheny Financial Group apart. Asset Allocation: Determining the perfect mix of risk and return for each category of assets is the first step in investment management. Portfolio Implementation: Allegheny Financial believes in the power of diversification and delivering peace of mind and security through actively monitored portfolios. Original and Proprietary Investment Research: Allegheny Financial Group conducts its own expert research that they share with their clients through easy-to-read reports and quarterly Capital Market Reviews. 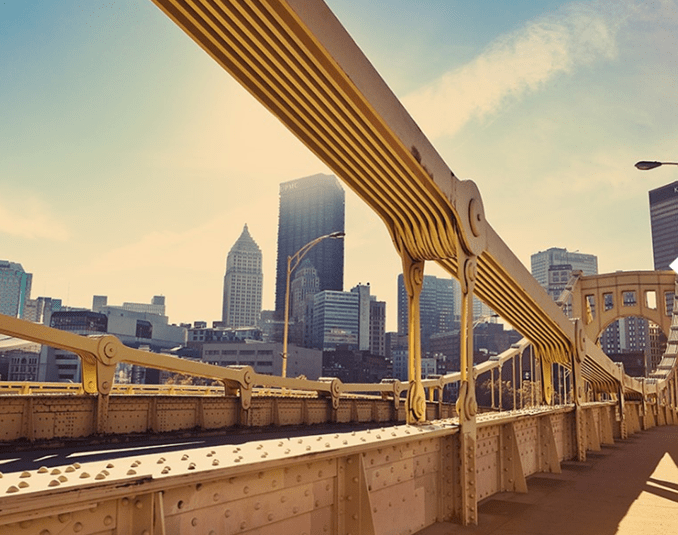 Asset Management: These Pittsburgh financial planners utilize their extensive, multi-sector experience and monitor and manage your portfolio for optimal performance. For over 40 years, Allegheny Financial Group has been helping Pittsburgh residents achieve their financial dreams. Although they are fee-based and accept third-party commissions, they make a strong commitment to putting their client’s first. Their commitment to providing a personalized experience and robust range of services has earned Allegheny Financial Group a top 5-star rating as one of the best financial advisors in Pittsburgh to consider partnering with in 2019. Aufman Associates Inc. has been serving investors since 1983. They are an independent, fee-only financial planning firm in Pittsburgh, PA that believes aligning human elements with an overall financial plan provides the best path to success. Based out of Sewickley, PA, Aufman Associates also serves as a fiduciary for their clients and provides broad-based investment management and financial planning for individuals and families throughout Pittsburgh and the surrounding area. One factor that makes Aufman Associates one of the best financial advisors in Pittsburgh is their dedication to putting their clients first. For Aufman Associates, their success comes from keeping their number of clients limited so they can maintain high levels of service. Rather than focus on building their assets under management, this team of financial advisors in Pittsburgh, PA focuses on long-term, personal relationships. Their impressive 99% client retention rate and the fact that most of their families have been with them over 25 years are a testament to the firm’s client-centric philosophy. Along with providing a wide range of services for wealth management in Pittsburgh, each tier is explained in detail, allowing potential clients the chance to see the firm’s financial philosophies and approach before even walking in the door. With a fee-only approach and a fiduciary commitment, Aufman Associates offers clients the highest level of unbiased advice, trust, and transparency. While some Pittsburgh wealth management firms focus on managing as many assets as possible, Aufman focuses on forming strong and long-lasting client relationships, even limiting the number of clients they’ll take on to ensure a high standard. These attributes, as well as their comprehensive and well-explained financial planning process, solidify Aufman Associates one of the top financial advisors in the Pittsburgh area to consider partnering with this year. Bill Few Associates, Inc. was founded in 1987 with a “clients come first” mission. This fee-based Pittsburgh financial advisor has two offices in the city (North Hills & South Hills) and manages over $1 billion in assets. Bill Few Associates stands out due to their independence, fiduciary approach, and a wide range of custom financial planning and investment management services. This Pittsburgh wealth management firm is praised by its clients for their hands-on financial management and investing expertise. Clients benefit from the firm’s team of dedicated investment management professionals with a great record of success. Individual Equity Management: With a core philosophy that includes style-neutral, sector-neutral, large capitalization equity portfolios, Bill Few Associates regularly out-performs benchmarks. Individual Fixed-Income Management: A diversified portfolio of fixed-income investments is available for both individual and institutional clients. Tax-free strategies employed for taxable clients emphasize short-term yield enhancement. Mutual Fund Management: This Pittsburgh financial advisor has a history of utilizing proprietary and commercial research systems to screen for best-in-class managers from all asset categories and styles. Alternative Investment Management: Traditional investments can be supplemented through access to hedge funds, Limited Partnerships, and other options strategies. The right benefits packages can help attract and retain top talent. One of the specialties of this Pittsburgh wealth management firm is assisting small and medium-sized businesses with attractive retirement plans. Bill Few Associates offers PSPs, 401(k)s, SEPs, SIMPLE Plans, and more. For clients that like a straight-forward, face-to-face, and in-depth approach to investment management services, Bill Few Associates is an excellent choice. Not only does the firm excel in proving well-researched, expert financial strategies, they also integrate popular planning services, like education planning and retirement planning. With a foundation based on a “client first” philosophy and a long commitment to independence, Bill Few Associates scores a 5-star rating one of the top Pittsburgh financial advisors to consider working with in 2019. BPU Investment Management, Inc. understands that your financial decisions are based upon much more than just numbers. This top wealth management firm in Pittsburgh strives to provide services that are “professional, yet personal.” They have three offices in Western Pennsylvania. Although BPU Investment Management is a fee-based wealth management firm in Pittsburgh, we have included them on this top list due to their fiduciary commitment to their clients and unique expertise. This Pittsburgh financial advisor believes in building deep relationships with their clients which enables them to completely understand their goals and financial situations fully. Your personal financial advisor acts as a liaison between you and BPU’s accredited team of professionals, which include Chartered Financial Analysts (CFAs), Accredited Investment Fiduciary Analysts (AIFAs), and Certified Financial Planners (CFPs). A value-added and unique service that BPU Investments offers is personal financial education for employees and members of associations to enhance understanding of financial resources. With a goal of increasing financial literacy by motivating employees to improve their financial health, these classes revolve around in-classroom learning and practical application. In turn, this acts as a guide in the development of sound financial goals. Classes are taught by experienced and credentialed BPU financial planners in Pittsburgh, and each employee that successfully completes the class is eligible for a personal consultation and analysis with the firm. As a top-rated financial planning firm in Pittsburgh, PA, BPU Investments is a perfect match for those people that enjoy getting to know their financial advisor and to building a long-lasting relationship with them throughout the coming years. With a view that looks past the numbers, a fiduciary commitment to putting the client’s best interest first, and a wide range of financial services, BPU Investment Management scores a 5-star rating as one of the top financial management firms in Pittsburgh to consider partnering with this year. DBR & Co. was first registered as an investment advisor in 2015, but the firm’s predecessor has been serving clients since 1994. This Pittsburgh financial advisor emphasizes gaining a complete picture of a client’s personal and professional financial life. This wealth management firm works with high-net-worth investors, young professionals, and qualified retirement plans. They are a fee-based wealth management firm in Pittsburgh, PA, which means that advisors may earn commissions from securities or the sale of insurance products. In order to provide clients with value-added services not traditionally offered elsewhere, the Life Plan 20/20® was created. With this approach, the team of Pittsburgh financial advisors at DBR & Co. combine portfolio management, tax and insurance advice, estate and retirement planning, and other critical financial services into one complete package that is engineered to keep your life goals on track. Strategic AIM™ Asset Management is all about providing simple, transparent, and low-cost investing. This Pittsburgh financial planning firm’s Investment Committee acts as the catalyst to get the process started. This process uses in-depth research, individual financial goals, and risk preferences to create a diversified, personalized portfolio for each client. With two proprietary approaches to Pittsburgh wealth management and financial planning, DBR & Co. offers a unique value to clients as a top-rated financial advisor in Pittsburgh. In addition to their Life Plan 20/20® and the Strategic AIM™ process, they also offer DBR Next Emerging Wealth, specifically for young professionals that are just starting out and want to secure a bright financial future. Although the firm uses a fee-based structure, clients can significantly benefit from their comprehensive & holistic services, earning DBR & Co. an overall 5-star rating as a top-rated financial advisor in Pittsburgh to consider this year. Fragasso Financial Advisors has been serving clients in Pittsburgh for more than 40 years through proactive wealth management, portfolio management, and retirement planning services. This financial planner in Pittsburgh is fee-based and has six locations in the surrounding area. They serve clients ranging from affluent individuals and families to retirement plan sponsors to non-profit institutions. You won’t get a static plan that never changes when working with Fragasso. They believe that always changing political and economic environments require them to consider each client’s circumstances with a fresh approach couched in time-tested principles. To dispel any disadvantages or potential conflicts of interest by having just a single financial advisor craft your portfolio, Fragasso uses an 8-person Portfolio Management Department full of seasoned Pittsburgh financial planners whose sole job is to provide on-going portfolio management. This in-house portfolio management means that Pittsburgh financial advisors aren’t juggling both financial plans and investments, this separation allows for focused, expert attention solely focused on aligning each client’s financial plan with their financial goals. When it comes to investments, having a dedicated portfolio manager gives clients a significant advantage, ensuring expert, careful attention. 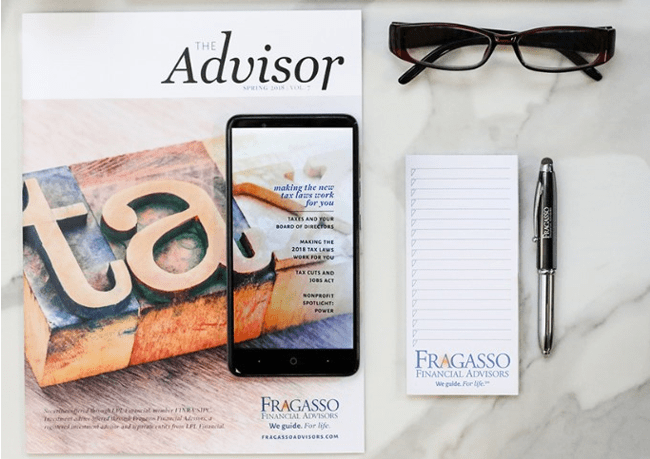 With a proactive approach to Pittsburgh wealth management that includes their own free magazine and a dedicated in-house portfolio management team, Fragasso Financial Advisors is an excellent option for any client looking for in-depth wealth management. While the firm is fee-based, it’s worth noting that this financial planner in Pittsburgh holds itself to a fiduciary standard as a Registered Investment Advisor, instilling trust and supporting transparency. These qualities, along with their whole-team approach make Fragasso Financial advisors one of the top financial advisors in Pittsburgh and score them a 5-star rating. With over $12 billion in client assets, Hefren-Tillotson is a family-owned financial advisory firm in Pittsburgh that’s been serving clients since 1948. The firm takes a personalized approach to wealth management, believing that no two clients are the same, thus their portfolios should be equally different and created to reflect each individually. Although this Pittsburgh wealth management firm is fee-based, we have included them on this list for the unique value that they offer potential clients. As one of the best financial advisors in Pittsburgh, Hefren-Tillotson adopts a strong, principle-driven foundation while implementing financial planning services. They seek to stand out for their unrivaled combination of exceptional client service and successful wealth management and financial planning services. Their ultimate goal is to become and remain each client’s most trusted advisor. Meet Face-to-Face: Learning about your values, goals, and financial needs are the building blocks to long-term success. Along with a meaning conversation, your financial advisor gathers necessary documents as they prepare to formulate your plan. Determine Your Goals, Priorities, and Risk Tolerances: This step in the planning process gives your Pittsburgh financial advisor insight into key factors that will shape your plan and best support both your long and short-term goals. Develop Your Own Personal Financial Plan in Writing: Each plan developed is as unique as your fingerprint. You’ll receive your completed financial plan, which clearly outlines all goals and objectives, and the plan of action that will help you meet those goals. Implement Strategies, Then Adjust Regularly as Situations Arise: Your personally tailored plan is now put into action and carefully monitored and reviewed to ensure that it is working efficiently to get you to where you want to be. As one of the top wealth management firms in Pittsburgh, Hefren-Tillotson offers its clients the benefit of deep financial expertise and a straight-forward approach to financial planning. Through the MASTERPLAN® process, clients can choose between holistic wealth management and basic financial planning, allowing them to select the approach that best fits their distinct needs. 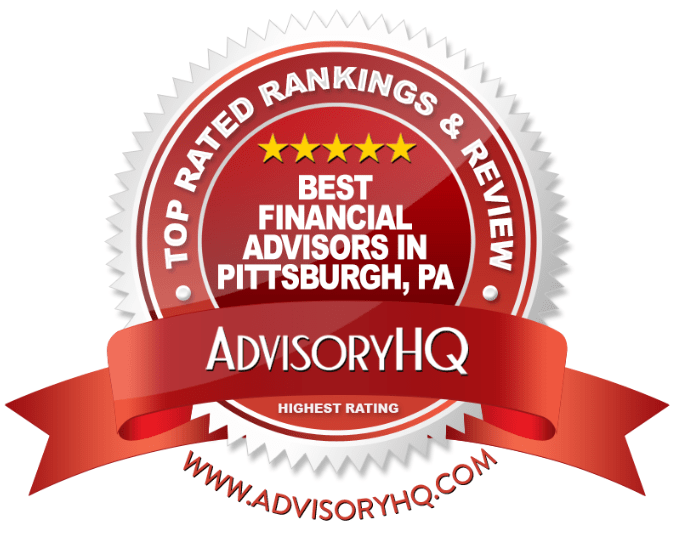 This flexibility, combined with the strong values and client-facing principals of unbiased financial advisement, solidifies the firm’s 5-star rating as one of the top-rated financial advisors in Pittsburgh to partner with in 2019. With over two decades of experience, McMahon Financial Advisors, LLC (aka MFA Wealth) is known for their concierge-level of service and state-of-the-art technology used in helping clients meet their financial life goals. This Pittsburgh wealth management firm is fee-based, but we have included them on this list due to their comprehensive wealth management services that are presented in an easy-to-read way on their website. Compass Portfolio Program: The Compass Portfolio Program offers sophisticated management services for investors while utilizing robust ETF portfolios. This approach offers fluid integrations with the MAP aggregation tools which provide a 360-degree view of clients’ financial lives. MAP™ Portfolio Program: The MAP Portfolio Process utilizes state-of-the-art financial planning technologies that work along with your advisors’ industry experience. The premise here is to create a client-focused “MAP” for successful navigation of the road ahead. As a top-rated financial advisor in Pittsburgh, McMahon Financial provides clients with high-quality financial services across four different categories: Investment Management, Business Services, Estate Planning, and Retirement and Education Planning. Planning services for estate, retirement and educational goals and objectives all benefit from the same laser-focused approach that combines advisor experience with the best investment technology has to offer. With two distinct portfolio programs to choose from and comprehensive service offerings, McMahon Financial offers a lot of value and options for clients looking for innovative financial management services. Their approach to combine state-of-the-art tools with over 20 years of expertise held by their financial advisory team, is a winning combination for their clients. Those looking for a concierge approach will find McMahon Financial Advisors one of the top Pittsburgh financial firms to partner with this year. We’ve scored them a top 5-star rating. PWA Wealth Management is an independent financial advisor in Pittsburgh, that was started with a vision to provide exceptional service to a limited number of clients. They provide financial planning and wealth management services to individuals, corporations, and pension plans. Although PWA Wealth Management is a fee-based firm, their fiduciary commitment to always put the clients’ interests first, their independence, and a wide array of services make them one of the top wealth management firms in Pittsburgh, PA.
As one of the best financial advisors in Pittsburgh, PWA Wealth Management maintains a steadfast commitment to operating independently, which means they are under no obligation to recommend specific financial products. They also are a fiduciary, taking on a legal commitment to make all financial recommendations with the best interest of their clients at the forefront. This also means they provide full and fair disclosure of any conflicts of interest. When it comes to transparency and trust, clients should look for independent firms with a fiduciary commitment, two characteristics that PWA Wealth Management embodies. Financial plans and goals naturally evolve over time along with life changes, which means that the best Pittsburgh financial advisors provide a range of financial services and monitoring to accommodate long-term financial health. PWA Wealth Management offers four flexible tiers of financial services, detailed below. Their fiduciary commitment and an independent structure offer PWA Wealth Management clients a foundation of transparency and trust, two key elements of any successful financial partnership. Additionally, their financial planning and investment management services are well-defined and detailed, making it easy for potential clients to fully evaluate the firm. These factors along with their expertise in a number of specialty areas, such as college planning, earn PWA Wealth Management a top 5-star rating as one of the best financial advisors in Pittsburgh to considering working with this year. Waldron Private Wealth was founded in 1995 with a mission to de-complicate financial planning and wealth management and make it focused and comprehensive. Located in Bridgeville, Pennsylvania, this financial advisor is fee-based and provides a full range of financial services for individuals, families, and family offices. We’ve chosen Waldron Private Wealth as a top Pittsburgh financial advisor for the firm’s fiduciary commitment, boutique approach, and an impressive range of financial services. From inception, Waldron Private Wealth has been designed to give clients a boutique approach to wealth management. This allows them to offer a higher level of service and personalized attention. This Pittsburgh financial planner keeps their client-to-staff ratio no higher than 5 to 1 so they can provide truly personalized services, from a robust onboarding process to a meticulously managed portfolio. Not only does this provide clients with the in-depth attention needed to create successful financial plans, but it also encourages long-term relationships, making Waldron Private Wealth one of the top financial advisors in Pittsburgh, PA for new clients to consider. What makes this list of services stand out is that each broad category contains multiple sub-services, offering a full-bodied approach to Pittsburgh wealth management. As one of Pittsburgh’s top financial advisors, Waldron Private Wealth offers clients the unique opportunity to receive tailored, individualized financial services. With a relationship-based approach, a vast range of services, and a fiduciary commitment, clients can have peace of mind that they are receiving expert and unbiased financial advice, making Waldron Private Wealth one of the top financial advisors in Pittsburgh to consider partnering with in 2019 and earning them a 5-star rating. Legend Financial Advisors, Inc. is a fee-only wealth management firm in Pittsburgh, meaning they do not accept any outside commissions for sales of financial products. They also take on a legal obligation as a fiduciary to serve their client’s needs above all else. Their mission is to provide value-added, personalized financial planning services and they offer a few client specialties. They work with individuals and families, retirees or those planning for retirement, medical doctors, businesses, and tech professionals. There are several different data points that go into choosing products for a successful and resilient investment portfolio, and these Pittsburgh investment managers perform extensive research when crafting their client portfolios. In keeping with their commitment to serve their client’s best interest, they emphasize developing portfolios that have historically achieved high returns with a lower risk than the norm. Not many firms offer wealth management services that specialize in serving those working in the technology sector. Reflecting the influx of tech firms to Pittsburgh this century, Legend has developed tailored services to meet their needs. This Pittsburgh financial advisor offers tailored wealth advisory services for affluent and wealthy technology professionals that understand their complex money management needs such as stock options and Employee Stock Ownership Plans. Their combination of industry-tailored services and commitment to the client as a fee-only fiduciary firm make Legend Financial Advisors a strong choice for those in Pittsburgh seeking quality wealth management services. Though their services are strong, their website could use an update to better attract new clients, especially since they’re serving the technology sector. For this reason, we’ve scored this Pittsburgh financial advisory firm with a 3-star rating. However, their personal approach and transparent philosophy make Legend Financial Advisors one of the best Pittsburgh wealth management firms to consider working with this year, and they could easily improve their rating with a website upgrade. Now that you’ve seen the slate of the top financial advisors in and around Pittsburgh, PA, we hope you’re feeling more confident in your search and have found the details useful in narrowing down your options. A suggested next step is to hone down your choices for financial advisors in Pittsburgh by removing firms that don’t serve clients within your specific demographic, or perhaps those that don’t match up with your personal financial style. Next, you’ll want to communicate with a few prospective Pittsburgh wealth management firms either by phone or face-to-face to get a better idea of the one best suited for your needs. The time taken to go through the process will help you find your perfect financial advisor match and you can feel assured that you’ve made a thoughtful and well-considered choice.